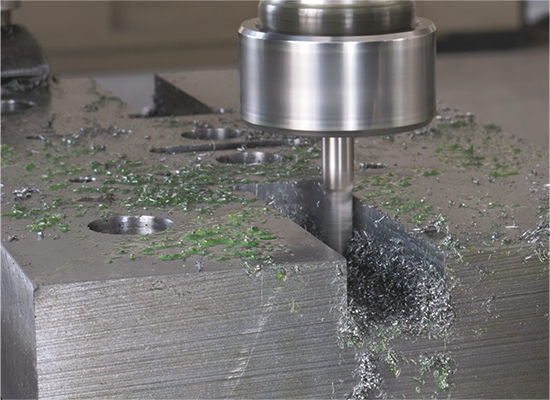 A newly introduced P-20 mold-quality, free-machining steel, Marshalloy MQ/FM from Diehl Steel, Cincinnati, OH, is a pre-hardened alloy suitable for short-run tooling as well as plastic-injection-mold applications. Produced through a proprietary melting and refining process, the low-carbon steel reportedly shows superior cleanliness, polishability, machinability, uniformity and hardenability. Marshalloy MQ/FM is tested to rigorous standards to ensure uniformity of structure and exceptionally low inclusion levels, according to Diehl Steel officials, who also note that it is decarburization-free and stress-relieved, making it ideal for EDM processes. Prehardened to 262/321/BHN, the balanced composition ensures uniform cross-sectional hardness and maintains the specified hardness throughout the plate. Minimum variation within any plate is 30BHN. Marshalloy MQ/FM represents the latest offering from Diehl Steel, which supplies tool steel, alloy steel, proprietary CPM powder metal, mold steel, carbon steel, stainless steel and aluminum products along with other metal-processing services. Focused on serving rapid turn-around needs, the company typically ships in-stock items in 24 to 48 hours. See also: Diehl Tool Steel Inc.